A few days ago WordPress 5 was released with the new Gutenberg editor. 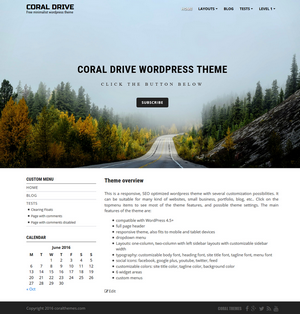 The following themes were updated to support the Gutenberg editor and WP 5: Coral-dark, Coral-light, Coral-drive, Coral-parallax, Coral-dark-pro, Coral-light-pro, Coral-drive-pro, Coral-parallax-pro. 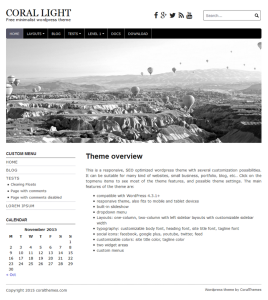 To update the pro themes you need to log in on this site, download the theme file, extract it, and upload the files to the server to overwrite the old theme files. But first save the old theme if you modified it! 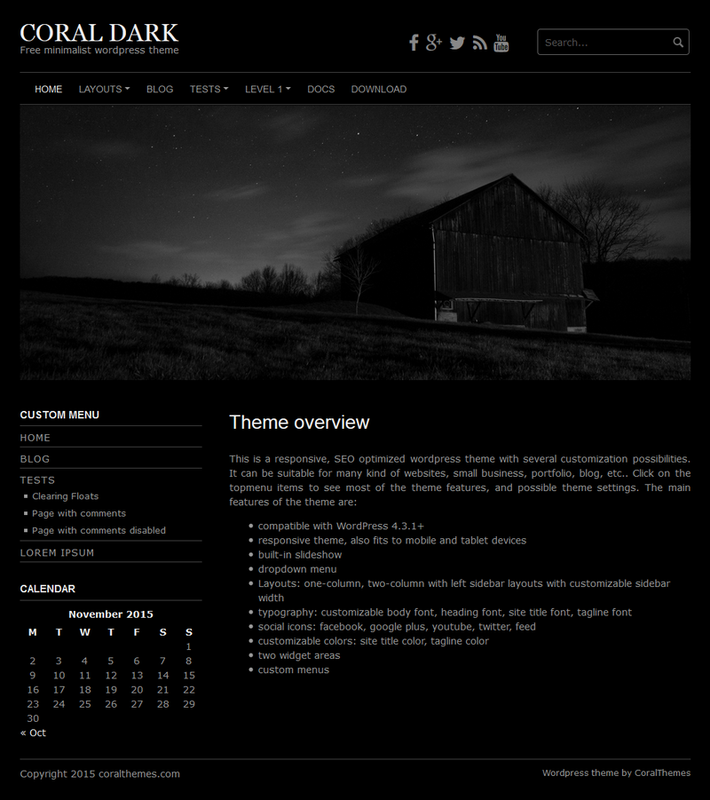 If you don’t find the updated theme when you log in, then probably your one year access to the updates is over. 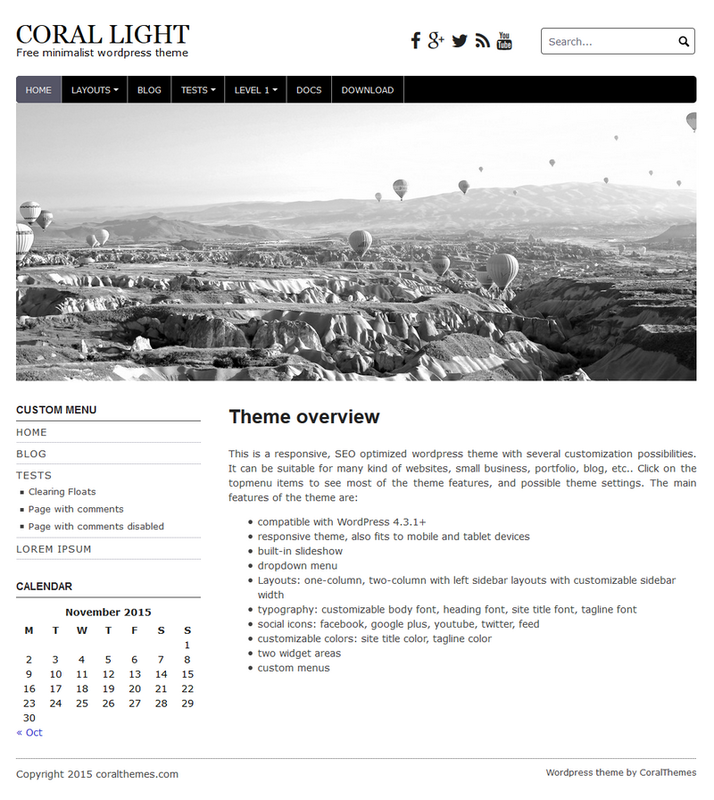 Yesterday a new version of wordpress was released: 4.9. 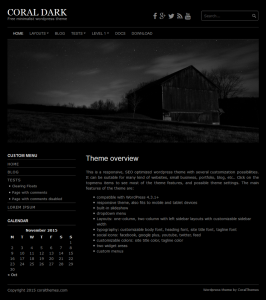 Our themes were tested on it, and they work without any problem.